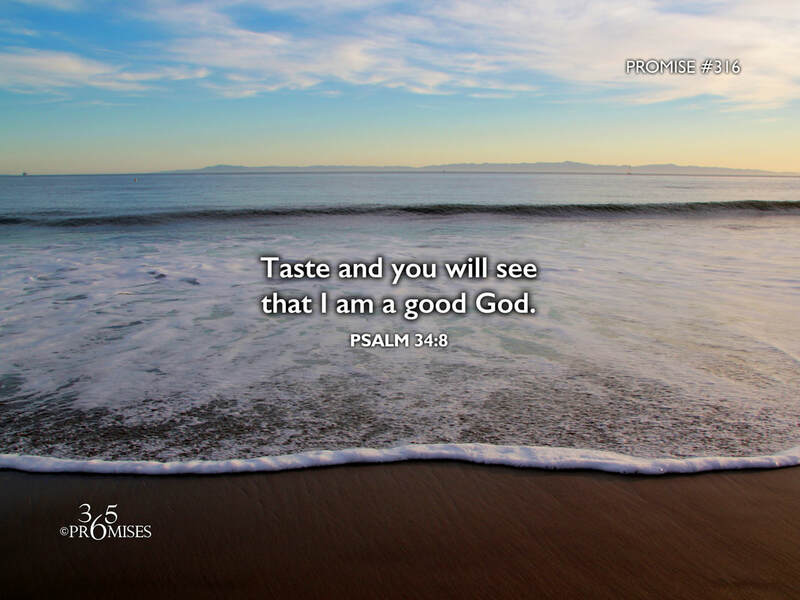 Taste and you will see that I am a good God. Oh taste and see that Yahweh is good. When I think of today's promise, I think of the difference between looking at a shiny red apple and tasting it. No matter how tasty the apple looks on the outside, the only way that I will truly experience its goodness is to take a big bite out of it! It is when I sink my teeth into it, that I will be able to taste and see that it is really delicious. Looking at an apple will never sustain us. We could be surrounded by an entire orchard of apples and yet die of starvation if we don't eat the apples. I believe that God is extending an invitation for us to not only behold His goodness from afar, but to come close and taste and see that He really is good. In some Christian circles, looking for an experience with God might be seen as undermining the importance of believing without seeing. I am not suggesting that we base our entire Christian walk on experience, but I would suggest that experience is part of any relationship that we have. While faith (Hebrews 11:6) is still the foundation on which we relate to God, I believe that He wants us to experience Him in every facet of our being. I pray that today, each and every one of us will taste of God's goodness in a very tangible way that will give us a greater insight into our Papa's heart.